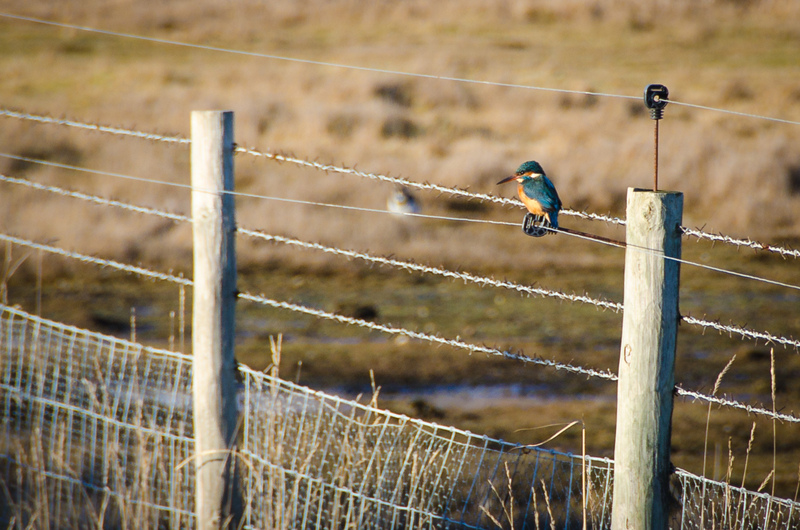 A while back I managed to get a photo of a Kingfisher, but it was so far away and with only a 200mm lens, it was basically a blob of colour. I’ve managed to get a new photo, in the same location as before – still had to crop it down but at least you can make the shape out now! Wonderful. Well done! We got a shot too last week on the Algarve but too far away! Still lovely to see all the colours. Thank you. I had a lot of chances, as it kept flying and stopping along the fence line, but you can’t get near them at all. Hoping now that I’ve seen them there more than once I can go back again and have another go.